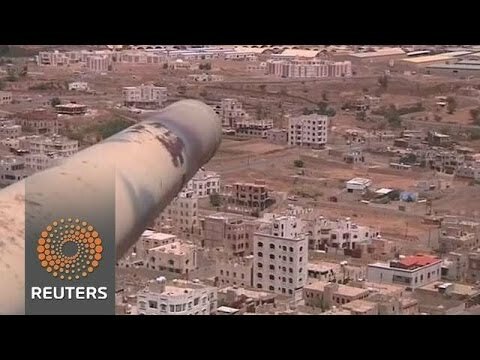 SANAA, 23 September 2014 (IRIN) – With northern rebels claiming the capital Sana’a and Al-Qaeda militants increasing their attacks in the south, Yemen’s security crisis is likely to continue, experts believe. While a new agreement between the Houthis rebels and the government may have temporarily reduced fears of all-out civil war, the country’s political, security and economic crises are unlikely to ease, leading NGOs to fear increasing humanitarian needs. The Arab world’s poorest country has been beset by insecurity since a 2011 uprising that eventually unseated long-time president Ali Abdullah Saleh. The Houthis, based in the north along the Saudi Arabian border, have historically pursued claims for greater autonomy but of late have entered the national political sphere, while the southern-based Al Qaeda in the Arabian Peninsula (AQAP) have been resurgent in recent months. Houthi fighters, who between 2004 and 2010 fought the Saleh regime in what was, in effect, a civil war in the north of the country, have this year won successive military victories against tribal and Sunni Islamist militias in the province of Amran, which separates Sana’a from the Houthi heartland, Sa’dah. Since 18 August, Houthi supporters have been flooding into Sana’a following a speech by their leader, Abdelmalek al-Houthi, calling for the government to stand down and a reversal of a decision to reduce fuel subsidies, which led to a spike in prices by up to 95 per cent. Fighting with tribal and Sunni Islamist militias broke out a month later, with President Abd Rabbu Mansour Hadi, Saleh’s successor, appearing unable to control his capital. On 21 September, in a deal welcomed by foreign powers, representatives of the government and the country’s political establishment signed an agreement with the Houthis. The agreement was initially aimed at removing Houthi encampments set up in the centre and outskirts of the city, and latterly came to call for the group to remove its militias from Sana’a and neighbouring provinces. The Houthis agreed to the main body of the deal, which would see fuel prices brought down and give the Houthis a bigger role in selecting a new government. However, they refused at the last minute to sign one part of the deal outlining plans for successive withdrawals and disarmament, leaving it unclear if and when their forces will pull back from the capital. While the agreement has calmed fears of an all-out civil war after several days of violence, it leaves a highly efficient and heavily armed militia in control of Sana’a. Likewise the peace deal has not addressed fighting between the Houthis and rival militias in the northern provinces of Mareb and Al Jawf – a situation that has humanitarian consequences. “In the short term, continued fighting in Al Jawf and Marib means more families displaced, schools occupied and children dragged into fighting,” Julien Harneis, the UN Children’s Fund (UNICEF) representative in Yemen, told IRIN. For the beleaguered government, the knock-on effects of the turmoil in Sana’a for their fight against AQAP in the south of the country could be significant. In recent months the group, the virulent local franchise of the extremist organization, has been stepping up its activities and rhetoric, with at least 20 people killed in attacks on military outposts by the group in August. Earlier this year the military launched a major campaign against AQAP, but it has struggled to make gains; the offensive has not been able to significantly weaken the group, which has even expanded its presence in the eastern province of Hadramawt. There are also fears that the Houthis’ power play could encourage the Sunni Islam AQAP to increase violence in Sana’a as they seek to fight back against the Shia group. In mid-September a regional leader of Ansar al-Sharia, an AQAP offshoot which does much of its work on the ground, announced that the group was increasing its presence in Sana’a in preparation for a fight with the Houthis. Ibrahim Sharqieh, a Yemen and conflict resolution expert at the Brookings Institution in Doha, thinks the dynamics of the country’s crises are getting more complex and harder to solve. Further violence will only worsen already severe humanitarian needs. In 2011 the economy contracted 10.5 percent, according to the International Monetary Fund, pushing unemployment and poverty levels up to above 50 percent, where they have remained stubbornly stuck ever since. As such, pre-existing humanitarian needs have worsened; child malnutrition levels are among the highest in the world. “In short, if the current crisis continues, there are short-term humanitarian problems and long-term development ones,” UNICEF’s Harneis said. In the short term, he added, the government’s slow progress on addressing humanitarian needs must be addressed. “We are working with the government and World Bank to extend the coverage of the Fund but with the current crisis it is difficult to keep the spotlight on this vital issue. That said, government is trying its best,” said Harneis.